If you’ve been told you need a gynecological or urogynecological surgery, consider going to an office that performs advanced minimally invasive and robotic surgeries. 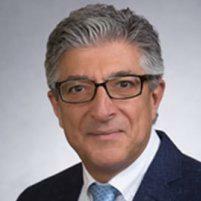 OB/GYN Dr. Elias Moukarzel is board-certified in Female Pelvic Reconstructive Surgeries and has helped women throughout El Centro and Carlsbad, California, and now he can help you, too. To schedule your initial consultation, call Femina Careo today or book your appointment online, and find out if you’re a candidate for a minimally invasive procedure. What can minimally invasive and robotic surgeries treat? Depending on different factors, including your condition, health, and any other complications, Dr. Moukarzel can take multiple surgical approaches, including vaginal, hysteroscopic, laparoscopic, robotic, and single site. How do robotic surgeries work? Dr. Moukarzel uses the da VinciⓇ robotic-assisted surgical device to perform precise, complex procedures with more safety and control than traditional, more invasive surgical techniques. During a da Vinci procedure, Dr. Moukarzel views a high-definition, 3D image of your surgical area while using hand, wrist, and finger motions to control the da Vinci’s robotic with real-time movement. Dr. Moukarzel performs all robotic surgeries through small incisions. Depending on the type and scope of your surgery, he may attach three to four surgical instruments to the da Vinci’s robotic arms. What are the benefits of a robotic surgery? By opting for minimally invasive and robotic surgery, you can gain multiple benefits. Minimally invasive surgeries, which includes robotic and laparoscopic procedures, create less trauma on the body, leading to a shorter recovery period. And because Dr. Moukarzel uses small incisions with little tissue damage, you experience less scarring, as well as a reduction in infection risk. What’s more, these type of procedures allows your doctor to see inside your body in ways that were impossible before minimally invasive surgeries. With the cutting-edge da Vinci, Dr. Moukarzel uses master controls that are naturally positioned to give him the best control to bend, twist, and rotate any surgical instruments.